Voting is closed, but you can enter the drawing by leaving comments here and on our facebook page. What a topic! What an experience! Where do you usually get your best ideas for writing? LOL. That’s great. If you could interview one of your characters which one would it be? Stumpy from Tender Touch. He’s such a wise old man and tolerates no nonsense! He’s seen it all, the Gold Rush, the transition to statehood, but most of all, he’s been a witness to the worst and best of humanity. What stories he could tell! I’m certain he understands most of us better than we understand ourselves and wouldn’t hesitate to tell us what we need to know! Tell us about your favorite character that you’ve created so far. That’s the one I just finished for an anthology. Her name is Zoe and she is the late-in-life child of hippies who came to know the Lord as a teenager. She’s a free spirit with a deep and abiding faith. She’s so in tune with God’s plans and His messengers and completely out of step with the rest of the world! She’s passionate about her faith and so full of surprises, she was just plain fun to write about. We’ll look forward to meeting Zoe in the anthology. As a writer, I imagine you’re also an avid reader. Could you tell us about your favorite book last year? My top reading pick of last year was the O’Connor family from the Daughters of Boston series by Julie Lessman. I just discovered them and devoured the series. I loved how their sturdy faith fit into the changing events of America! And a new one just came out. Wahoo! 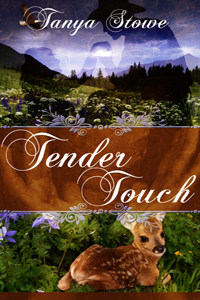 Tanya’s giving away a copy of Tender Touch. 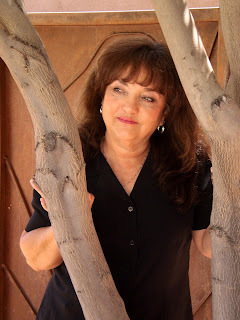 To read more about Tender Touch visit Tanya’s Web site. Be sure to come back on Friday to see the voting results. Hey, Tanya! Great interview. I always love learning a little more about you. Also, gotta say it...having already been privileged to preview Zoe's story, I love her! What a wonderful character! Awesome interview, ladies. Tanya, I LOVED Tender Touch, and you're right about interviewing wise ole Stumpy. I'm excited to hear about Zoe and your anthology! Congrats! Tanya, your travel wonderings and mumblings crack me up! Mostly 'cause you sound just like me. It's been lovely getting to know you a bit today! Delia, Zoe wouldn't be as courageous as she is if she didn't have a big sister! Can't wait for readers to get to know them both. Dora and Marianne, thanks so much for always being there! April, I think we could be great friends! Tender Touch is a lovely story. You cracked me up when I read your husband says you think too loud. Zoe sounds like a fun character -- daughter of hippies?! Such a character has been rolling around in my mind. I'm loving Tender Touch, Tanya. Romance is in the air! Blessings! Tanya is traveling today - off to the Middle East! She wanted everyone to know she appreciates your comments, and says she's had a great time at COTT!